It was just announced that Disney is going to make live-action versions of both The Lion King and Aladdin, two animated movies that defined a big ol' chunk of our childhood. (Seriously: Soooo many long car trips were saved by listening to cassettes—cassettes!—of those soundtracks on repeat.) That's happy but not necessarily surprising news: Disney's already given us live-action takes on Cinderella and The Jungle Book; the real-people Beauty and the Beast is coming in just a few months; and a live-action Mulan is in the works, too. But here's the thing about Aladdin and The Lion King: Fabulous musical versions of those stories are currently blowing up Broadway. And a HUGE part of their Great White Way success is due to the fantastic choreographic minds of Garth Fagan (Lion King) and Casey Nicholaw (Aladdin). Soooo, Disney: Can we get a little Broadway-Hollywood crossover action here, and bring Fagan and Nicholaw on board the film projects? That'd be a win-win scenario—the movies would benefit from the genius of these two world-class pros, who already have oodles of experience with these stories, and Fagan and Nicholaw's work would get large-scale exposure. Pretty please? Anyone who's seen A Chorus Line is familiar with the high-pressure, “I hope I get it!" process of a musical theater audition. Out of hundreds of hopefuls, you have to be the one whose skills are strong enough to catch the casting director's eye. Then comes the callback, the workshop—and, most of the time, the “no, thank you." But while rejection can sting, it happens to everyone, including the very best. We spoke with five talented Broadway pros who missed out on coveted gigs. As their experiences prove, audition disappointments don't mean the world's ending—or even that a role is permanently out of reach. It seems like only yesterday that Disney debuted its first Broadway musical, Beauty and the Beast. But that's just because time flies when you're having theatrical fun: Beauty actually opened in 1994—which means that Disney on Broadway turns the big 2-0 this year. And what would a Disney birthday be without a giant party? To mark the anniversary, ABC will air "Backstage with Disney on Broadway: Celebrating 20 Years" on Sunday, December 14. Hosted by Jesse Tyler Ferguson, aka The Greatest "So You Think You Can Dance" Judge of All Time™, the special will give viewers an insider's look at all eight musicals in the Disney canon. 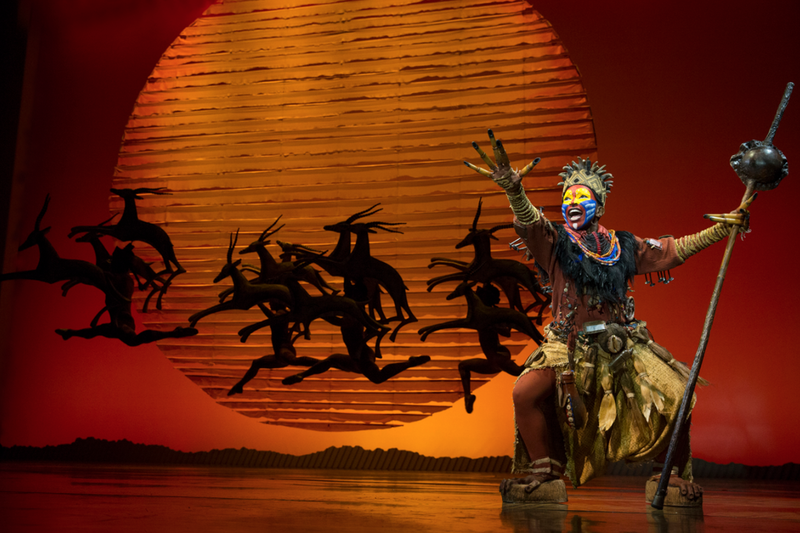 There'll be especially fun footage from the three shows currently running: an actual performance of Aladdin's showstopping "Friend Like Me" number, a Lion King rehearsal and a look at life on the Newsies national tour. Disneytastic! Set your DVRs for the 14th at 7 pm EST (check your local listings for stations). 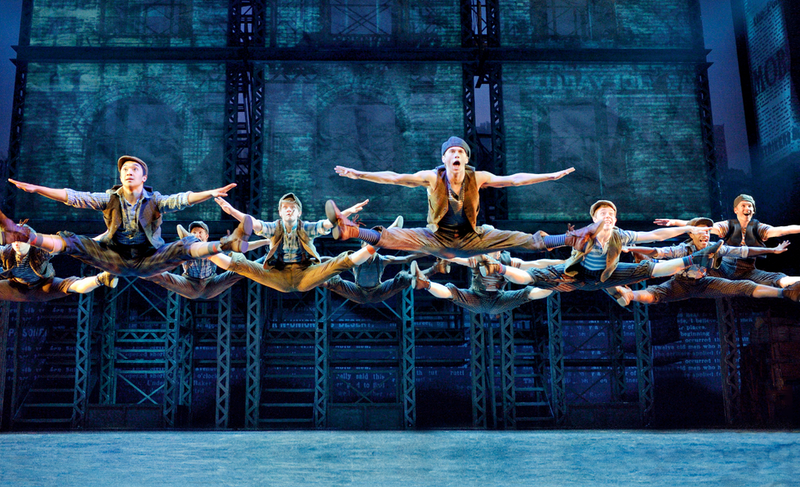 And in the meantime, take a look at our own behind-the-scenes peeks at Aladdin and Newsies. 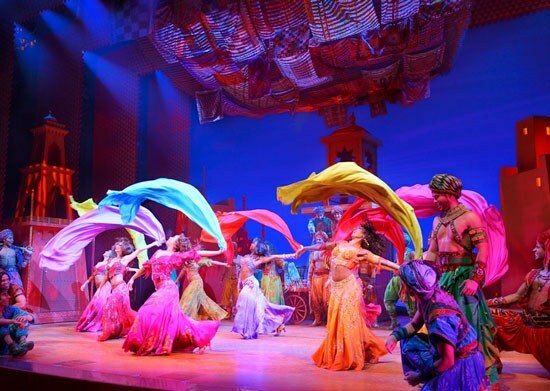 What’s the danciest, happiest, magic carpet-iest new musical on the Great White Way? That’d be Aladdin, which brings the classic Disney movie to colorful life, eight shows a week. The musical features powerhouse performances by James Monroe Iglehart as the Genie, Adam Jacobs as Aladdin and Courtney Reed as Jasmine. But it’s the soaring, tumbling, freewheeling dancers that make Aladdin truly sensational. Whether they’re twirling scarves in “Arabian Nights” or nailing a 42nd Street–style tap routine in “Friend Like Me,” these Broadway babies light up every moment of Casey Nicholaw’s gleefully over-the-top (and Tony-nominated!) choreography. They’re the muscle behind the magic. That’s why we just had to feature four of Aladdin’s dancers on our cover. Unsurprisingly, ensemble members Daisy Hobbs and Ariel Reid and swings Lauryn Ciardullo and Jennifer Rias are just as brilliant in front of a camera as they are in front of an audience. Or as the song goes: More often than not, they’re hotter than hot—in a lot of good ways. Can't get enough Aladdin? Click here for a look at what goes on behind the scenes!